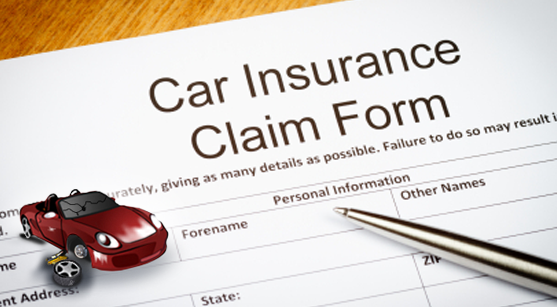 A car accident is the starting point for a claim of insurance for car accident. If you are the owner of a car damaged in collision, you must take the immediate step of informing your insurance agency. This will start the insurance claims process. Typically, an insurance company settles the claim based on a report by adjustor or surveyor on the extent of damage to your vehicle. The issue is settled if you are satisfied with the amount of money offered as your insurance claim by the company. • The basics: The first step if your car is damaged is to report it to the insurance company within the time frame specified by it. You can also do well by keeping all records of the accident Cases including extensive pictures of the scene of event, the damages and any injuries sustained. You must also keep in touch with any witnesses to the accident as they will be of the utmost importance to your later claims of insurance. Now fill the claim form with details of amount of money you are seeking as claim. Give support to your claims with FIR (First Information Report) in case of third party injury or damage, any medical bills and estimate of repair amount from workshop. All these will help your case if you get into an impasse with the insurance company. • Estimation: You must submit your claims before a surveyor or claims adjustor and after he submits your claim, the insurance company will examine details of your policy such as extent of coverage, coverage limits or any deductibles, which will affect your claim. For instance, he will examine if accident policy is Motor Policy A or Motor Policy B. Motor Policy A has limited coverage while Motor Policy B is comprehensive motor insurance. • Assessment: After assessing your policy coverage and depending on the claim amount, the surveyor/ adjustor will pay a visit to the accident site, consult witnesses or make reference to the police report. • Know your rights: Most insurance companies have their own in-house surveyors/adjustors to assess the damage and arrive at a claim amount particularly for claim amounts to less than Rs 20,000. There are stipulations in the Insurance Act on who qualifies to be an adjustor or surveyor if the claim amount is more than Rs 20,000. The Act says that such claims of over Rs.20,000 can be handled by only independent surveyors. This will help in a fair judgment of damages and pave the way to an amicable settlement between the insured and the insurer. The law also insists on the surveyor/ adjustor submitting its report of damage assessment within 30 days after surveying the damage. • Scope for negotiation: If you have a simple claim, then there is no need for negotiation. This is the case when there is no doubt which vehicle is to blame for collision, there is limited damage, and very less or no medical costs for passengers. In such a case, the issue is settled amicably. But if there is serious damage, there is uncertain liability or if your policy does not have sufficient cover, it is the time to start negotiating. In case of an impasse between you and the insurer, the best way to go is to hire the services of an advocate, who has experience in handling insurance claims for car accidents. You can take the help of an advocate, especially when you’re fighting for a claim against the insurer. He will keep track of all communication between you and the insurance company and help build your case.